If you require electrical services for your home in the Hudson, Massachusetts, area but aren’t sure who to call, consider VMA Electric. 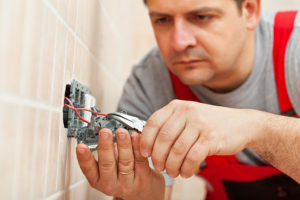 We’re a full-service electrical contractor that specializes in custom installation projects, and we have been providing a high level of customer service for clients throughout the region since 2008. To help us stand apart from the other electrical services providers in the Hudson, MA, area, we go above and beyond to ensure customer satisfaction. Our electricians – who average more than a decade of experience – stay up to date regarding industry advancements so they can use their knowledge to our customers’ benefit. And, our owner, Victor Archila, stays involved in every project we do to make sure the highest service standards are met. If you would like more information about the electrical services we offer for homeowners in the Hudson, MA, area, contact VMA Electric today.